More significantly from a scientific perspective, the last four years reached nearly equally low maximum extents and continued the decades-long trend of diminishing sea ice in the Arctic. This year's maximum extent was 448,000 square miles (1.16 million square kilometers) — an area larger than Texas and California combined – below the 1981 to 2010 average maximum extent. In February, a large area of open water appeared in the sea ice cover north of Greenland, within the multiyear ice pack — the Arctic's oldest and thickest ice. 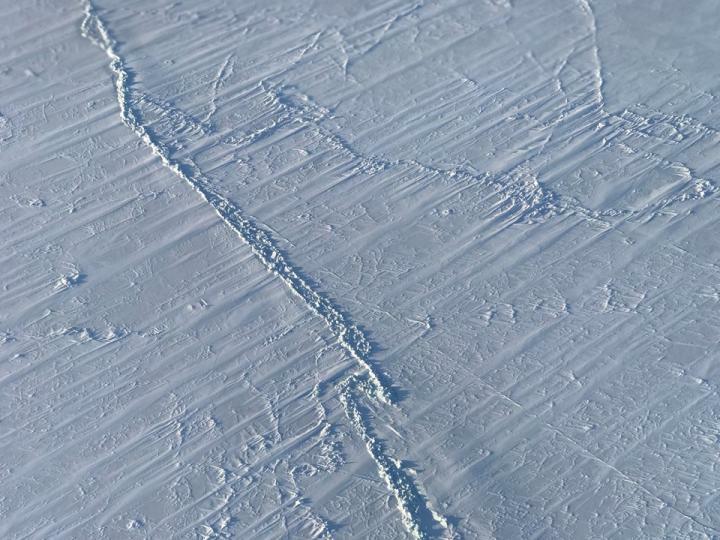 Most of the opening has refrozen but the new ice is expected to be thinner and more fragile, and a new opening might appear during the melt season. This could make the ice in this region more mobile and prone to exiting the Arctic this summer through either the Fram or Nares straits, ultimately melting in the warmer waters of the Atlantic Ocean. Despite the fact that this year's melt season will begin with a low winter sea ice extent, this doesn't necessarily mean that we will see another record low summertime extent. "A lot will depend on what the wind and temperature conditions will be in the spring and summer," Parkinson said. Starting March 22, Operation IceBridge, NASA's aerial survey of polar ice, is flying over the Arctic Ocean to map the distribution and thickness of sea ice. In the fall, NASA will launch a new satellite mission, the Ice, Cloud and Land Elevation Satellite-2 (ICESat-2), which will continuously monitor how sea ice thickness is changing across the Arctic.